Happy employees. Satisfied customers. Proud investors. Learn how our patent pending, blockchain-powered contact center software can help deliver this ultimate trifecta. We possess all the features needed to run an enterprise-scale contact center operation or a 5-agent work at home business. 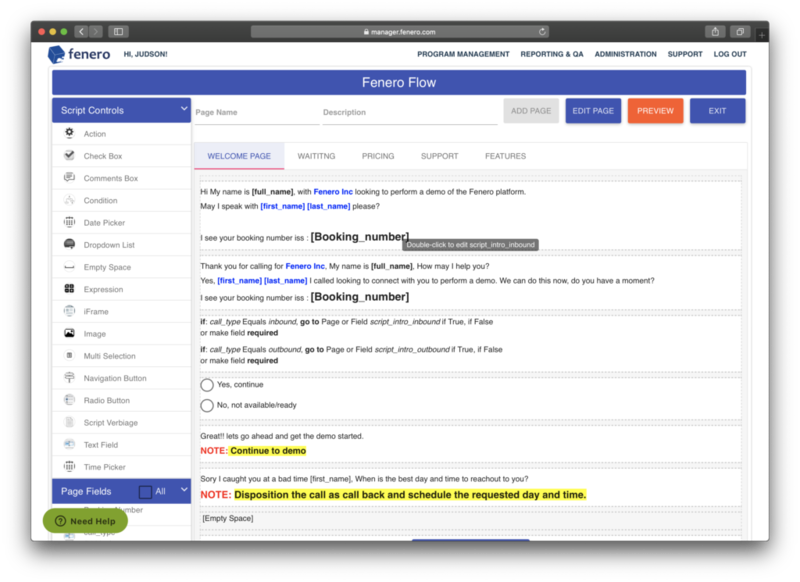 Inbound, outbound, live chat, quality assurance, drag-n-drop scripting, advanced reporting, and a built-in Web phone comes standard. Qubicles is a revolutionary new product in the contact center software industry, powered by the Telos chain of EOS.IO. It's the first meritocracy-based system for matching verifiably qualified, experienced agents with contact centers seeking talent. Flexibility, speed and agility are key tenants of successful contact center operations. That's why we provide open APIs and provide an elastic infrastructure that can quickly scale to meet the most demanding program requirements. We have created our own cryptocurrency, called the Qubicle Token, to support transparent and fair incentives for contact center agents and customers alike. 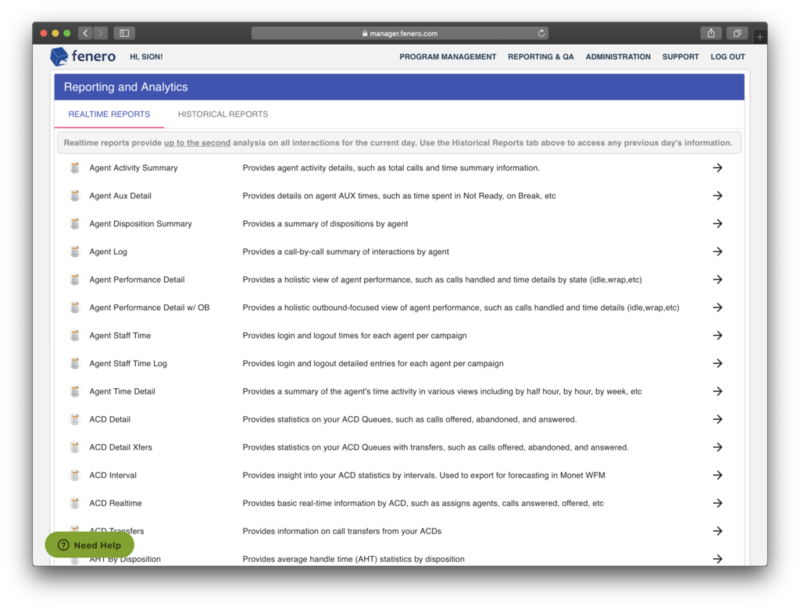 Agents earn for their performance; and customers earn for participating in campaign surveys. Our staff consists of technology, operations, and sales executives with experience working in small to large contact center operations. Together, we have helped hundreds of contact centers increase their productivity while delivering significant savings to their bottom line. We're also respected block producers in blockchain projects, including EOS and Telos, and are creators of the popular Sqrl cryptocurrency wallet for EOSIO. So we know a thing or two about the power of blockchain and how it can transform businesses. fenero.io is a breath of fresh air in an industry deprived of innovation. Our contact center software comes with all of the features that powers some of the largest contact centers in the industry. This includes a very robust suite of standard reports that provides different views into your day-to-day operations. It's a new day. Contact centers need to get things done - and fast. That's why we provide full and untethered access to everything we've got to offer immediately upon signup. We are a licensing-free, pay-per-use platform with zero up-front costs. 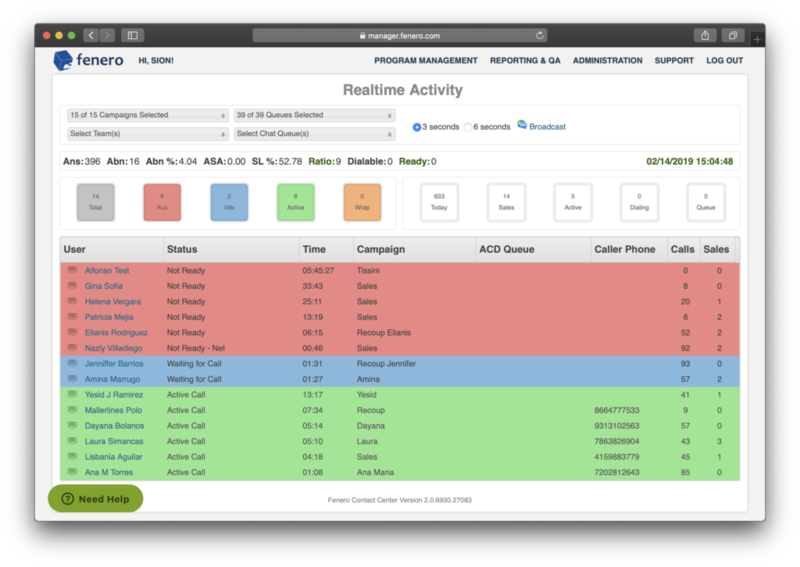 After years of experience delivering contact center software to businesses, we've fine-tuned the perfect usage model for any contact center operation, combined with varying support options tailored to meet all budgets. No credit card required. Cancel at anytime. More flexible support plans available. *Domestic travel only. Contact us for details. One major advantage of working with us is because of our experience running call center operations. We know what it's like to be on the inside. See what others have to say. Fenero has grown a lot since we started with them three years ago. We originally started with just Inbound and have grown with adding inbound queues and outbound campaigns including auto-dialers - Agent and Manager Interface is user-friendly. - Reporting fits our needs. - Ease of initial start up. - Ease of Campaign setup. - Economically friendly billing plans. - Great Features available to customize campaign specifics. I can tell, that after starting to work with Fenero Call Center system Referrizer (our company) is - Hiring 5-10 people per week - Doubling on our sales every 2-3 months - Growing with revenue, cients and employees constistantyl What we like about it is - Performance based system - We don't pay for seats, just for effective minutes of dialing - REPORTS are critical for the success - so much flexiblity - CUSTOMIZATION - This is where Fenero really stands out. We have utilized API and their Interface to the maximum. We love it. I am absolutely blown away by this software. When I signed up, it was easy, FREE and I got up and running within about 15 minutes. Rep reached out to greet me and help answer and questions I had. He showed me a lot of great informative videos that guide you through setup. If you're looking for a cloud based contact center THIS ONE IS BY FAR THE BEST... 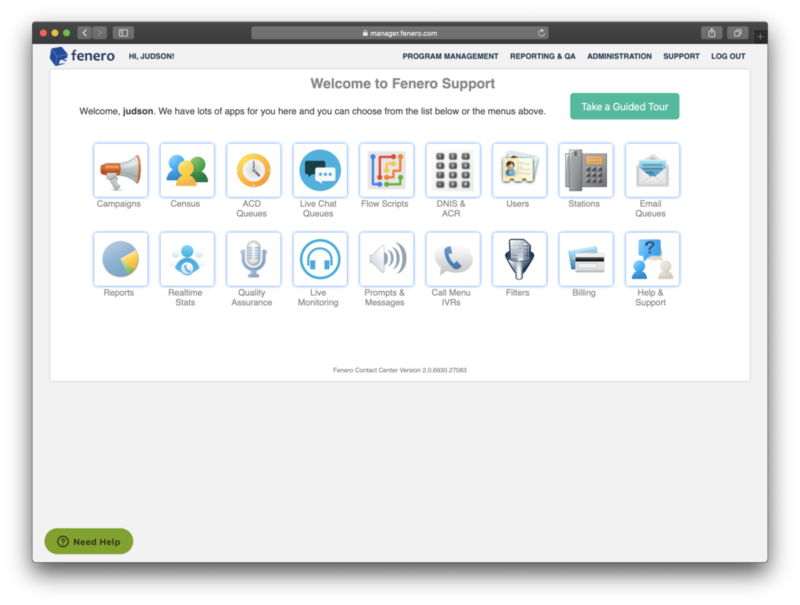 I searched and searched for the software that would work for my business, and when I came across Fenero and signed up I instantly knew how amazing of a find this was. Don't believe me? Ok try signing up.... Nothing to download and no charges..... what is there to lose? Besides the lost time searching for software. Trust me on this one. Pros: The support is awesome! Easy to navigate, has self help knowledge base, real time reporting, easy to create stations and users, ...everything! Cons: Honestly, I don't know what is / are not to like using Fenero. It give me what I need to run my virtual call center. #FeneroRocks Overall: It just takes 1 person to manage the software. How can agents earn cryptocurrency? We have created our own cryptocurrency, called Qubicles (QBE), based on the Telos chain of the EOS.IO blockchain protocol. Agent goals, scorecards, and performance statistics are all recorded on the blockchain, and smart contracts automatically distribute cryptocurrency rewards for those meeting their daily, weekly, or monthly goals. How can a customer earn cryptocurrency? Contact centers are in the people satisfaction business and people love to be rewarded, especially for completing optional tasks. Our blockchain technology automatically rewards customers for opting-in to various campaign surveys (such as DSAT or CSAT surveys) and other questionnaires that will help contribute to your program's success. What is Qubicles and how does it work? Is there a demo I can see? It's not necessary! Just register for a free account and receive full and unlimited access to Fenero right away after verification. 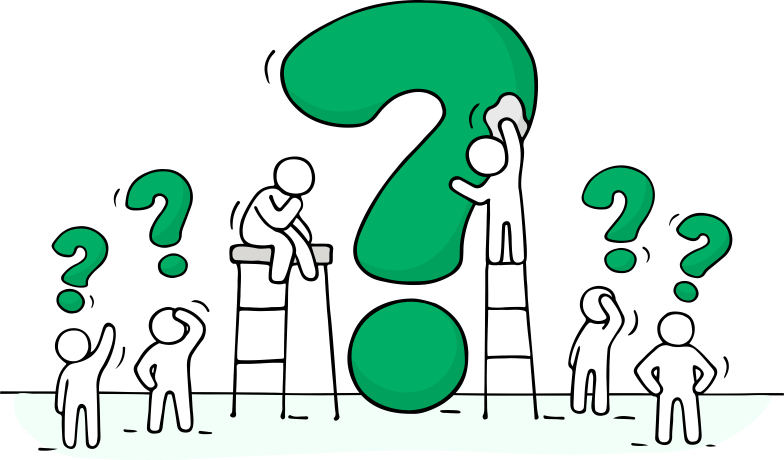 Our Knowledgebase has many articles to help you get started. Additionally, our staff is always available to provide assistance as needed. How reliable is your platform? We guarantee 99.99% to our valued clients. However, unlike one of our well known competitors, our service has been able to deliver 99.999% uptime - and we don't need to add it to our name. Are there any hidden fees? How fast is your support team? It depends on the support plan you have opted in to. If you need help choosing a plan that's right for you, please contact us and we will be able to assist. Unlike other contact center platforms, there's no need to talk to our sales team before getting full access our platform. Just sign up and receive instant access to all features available - no strings attached! © 2019. All rights reserved. Made with Fenero, Inc.